Do you think you know your soft drinks? Are you a tea connoisseur? Into smoothies? This site is the hottest spot on the web for every answer of Hi Guess The Drink. At some point, everyone hits a wall and has trouble getting to the next level. Why not bookmark our site for quick reference? 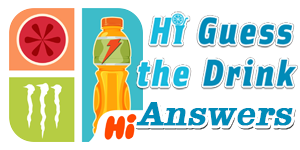 All you have to do is navigate the site using the buttons below or the menus to find the section where you are stuck and Hi Guess The Drink Answers will show you any answer in the game for the level that you are stuck on. We are the best fan site for Hi Guess The Drink Answers. We have cheats for every level of the game. If you're stuck on a level because you aren't a fan of 100% organic fruit juice or maybe you're not familiar with every brand of flavored water or soy milk in existence in the entire world, we're here to help! Just use the navigation to find the level you're having trouble with and we'll show you the answer! 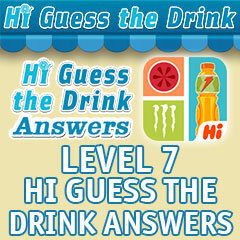 Hi Guess The Drink Answers | Hi Guess The Drink Cheats This site is not endorsed by or affiliated with CamMax.